In a match where many predicted Argentina to get back to their form and win, they played absolute rubbish! Goals from Ante Rebic, Luka Modric & Ivan Rakitic guided Croatia to a shocking victory against Lionel Messi’s Argentina. 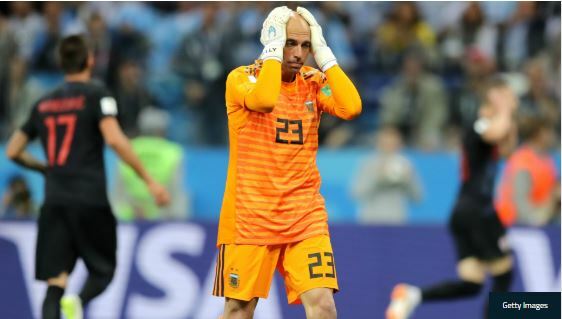 One man who would surely not sleep well tonight is Argentina goalkeeper Willy Caballero who made two shocking error that resulted in the goals.